There You Go! Stop Searching for Travel: Start Asking! So who are the experts? We are building a network of travel agencies and independent providers. 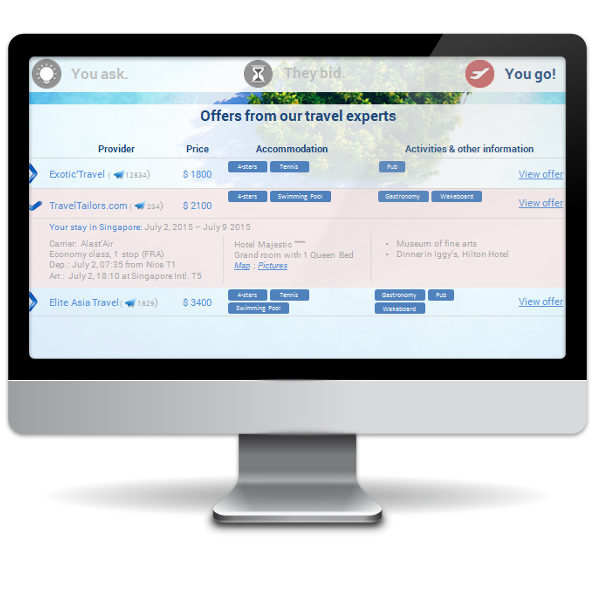 These are cherry picked, independent travel agencies with experience in the destinations or activities you are searching. We will notify you when a new offer comes in, for you to review and compare. 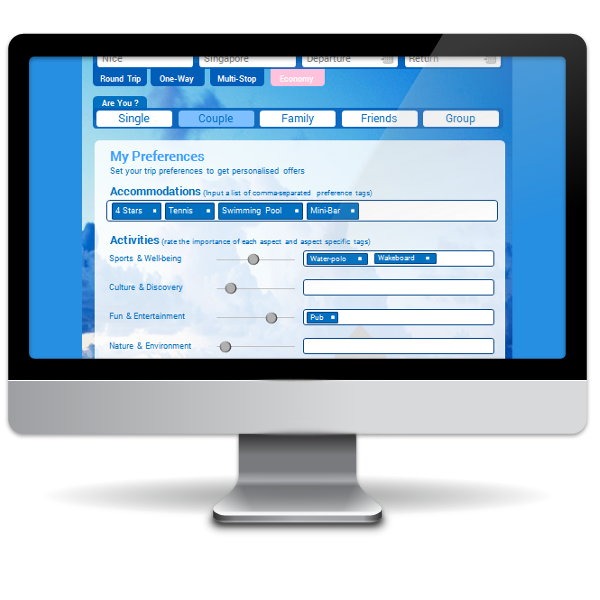 Compare the different offers in a personalised matrix including custom criteria based on your request. Adjust the travel plan by selecting the items you wish to change and messaging the agent for a direct interaction. Want to be the first to try our new service? Subscribe today and we will notify you as soon as we are online, Thanks! We are delighted to receive your feedback.